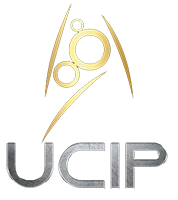 On behalf of Starfleet Command and UCIP Command, I am happy and delighted to announce that UCIP sees an old name returning once more to the fold. The USS Enterprise NCC – 1701-F, an Odyssey class starship, has joined our ranks once more. Entirely different from the Enterprise that left UCIP several years ago, this is a complete reboot of the concept, going back to the ‘F’ designator. Whilst this does not overwrite the Enterprise’s contributions of the past, we are forging a new chapter for the name Enterprise within UCIP. She is under the command of Frankie and Mike, and goes live today.